To complement last Octobers Unity UI tutorials I’ve dusted off the microphone and created a short series on Unity 2D characters. What people seemed to enjoy most about my previous videos was how I cut straight to the point, trying to keep the content as concise as possible. I’ve kept that front and centre in the making of these new tutorials. Here’s a little run down of what can be learned in each video. Creating an animation and an animator that loops through a set of images. Adding a script to your character that controls their position. Using Texture Packer to combine all of the characters images into a sprite sheet. Pulling from that sprite sheet to draw the character which reduces draw calls when more than one character of this type is on the screen. Movement using Time.deltaTime to keep the characters speed constant during frame rate spikes and dips. Setting up a skeletal character with a sensible GameObject hierarchy. Creating smooth and flexible animations that can affect individual body parts. Depending on the popularity of these videos I’d be happy to carry on down this route or may turn to a different area of Unity. To celebrate the launch of Castle Invasion on Steam I’ve put together a showcase of how the game progressed from a very simple look (drawn by myself which was never a good idea) to a beautiful cartoony art style with much clearer design. My general design process is to get a functional system in place, identify it’s weaknesses and iterate until you feel like you’ve hit near perfection. Here’s how it all started at the end of 2014. A poorly drawn marshmallow of a man holding a bow much too big for his head. 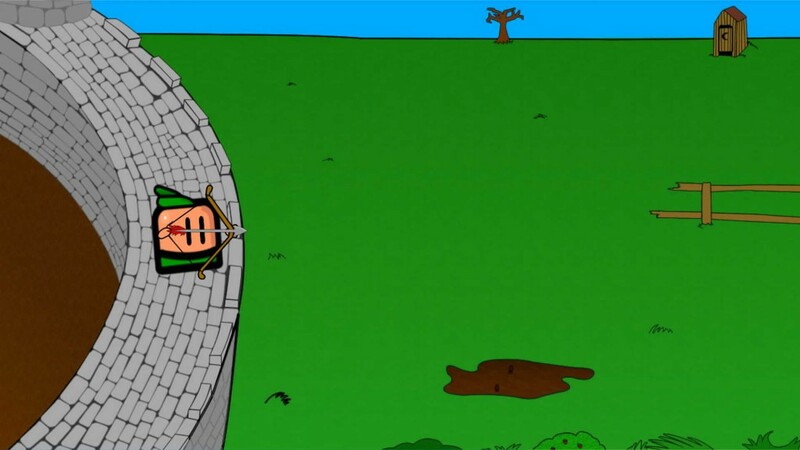 No enemies, nothing to hit, just a nice animation of him firing an arrow. This is the first and only build of Castle Invasion developed without Unity. 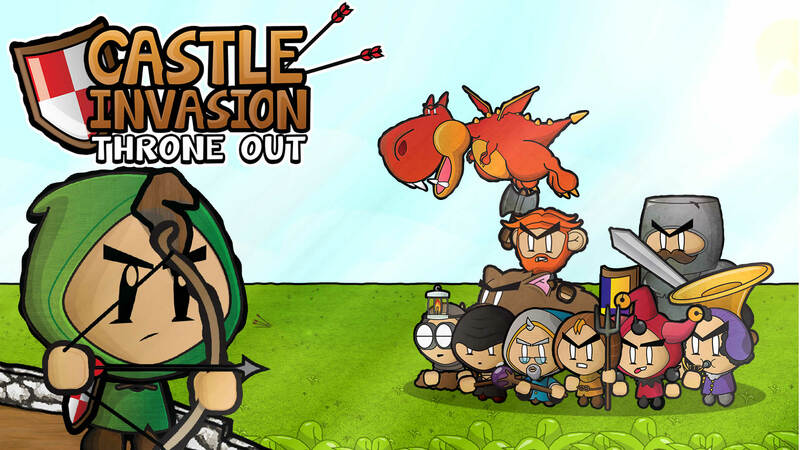 It’s been a long road for Adam(the artist) and myself but we’re happy to say Castle Invasion is available to purchase on Steam for Windows and OSX! We’re both immensely proud of the quality of the game and hope you’ll enjoy playing it. As you’ve no doubt heard in every other Steam Greenlight promotion post, the initial couple of days in a Greenlight campaign is where you get an influx of interested gamers funnelled to your Greenlight page from Steam. When your project inevitably falls off the front page and this traffic falls with it, where do you go from there? Castle Invasion has a Steam Greenlight page! Yay! Much like the game itself the page is full of awful jokes and even worse puns. I’m particularly proud of all the GIF-age.